The Pryor Mountain Wild Horses are unique. Cortez once said “…Next to God, we owed the victory to the horses…” in discussing his conquest of the New World. Wild horses have long roamed the Pryor Mountains, but there was a time when the herd was in serious danger of going extinct. The Pryor Mountain Wild Horses can be found throughout the Pryor Mountain Wild Horse Range. 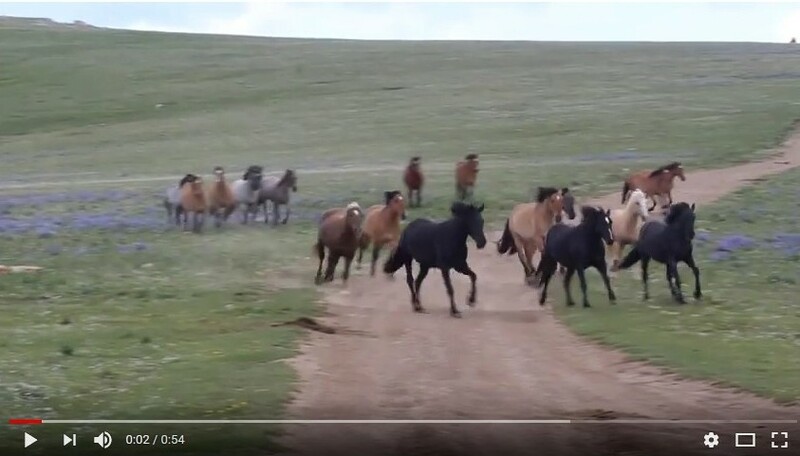 Regardless of where they are in the range, they are all the same Pryor Mountain Wild Horses. 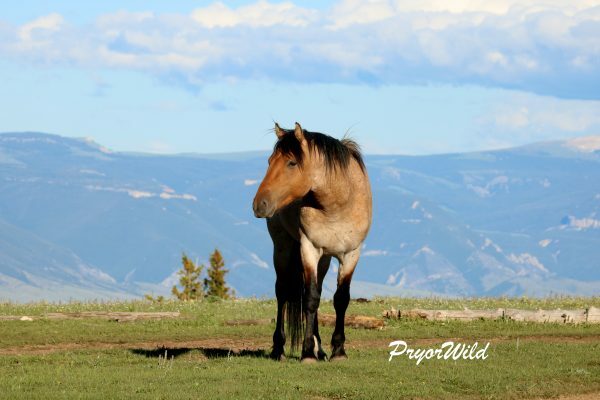 to the Pryor Mountain Wild Horse Range. Wild horses still roam freely in the Pryor Mountains outside of Lovell, Wyoming. This herd of horses is very special because of its Colonial Spanish American heritage. This tough little horse, derived from the horses of Portugal and Spain, has been present in this rugged mountain area for nearly 200 years. If lost, the herd cannot be restored; and so its biological viability, together with its history, must be preserved. It is the purpose of the PRYOR MOUNTAIN WILD MUSTANG CENTER to do just that. The Pryor Mountain Wild Mustang Center is a public, nonprofit 501(c)(3) educational institution, unique in purpose and location. The Center is working towards becoming the foremost wild horse educational institution in the world. Your donations can help! Contact us today to get your copy of the 6th Edition of the Field Guide! $24.95 plus $3.00 S&H. 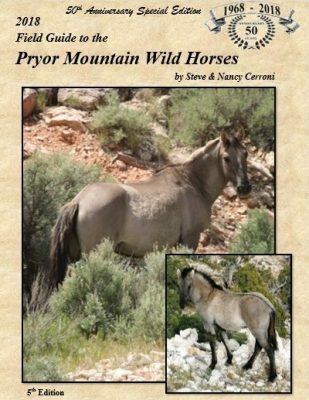 Make plans now to see the Pryor Mountain Wild Horses!